With all the MGM financial woes taken care of (for the most part) the studio can proceed with their movie lineup including the 23rd Bond film arriving in theaters in 2012. The no-frills greenlight announcement also made official Daniel Craig’s return for a third outing as 007, with Sam Mendes to direct a screenplay by Neal Purvis, Robert Wade and John Logan. MGM had already been working up plans for a 2012 yearlong commemoration of the golden anniversary of the first Bond pic, 1962’s “Doctor No,” and Mendes had long been rumored to be the leading candidate to helm. 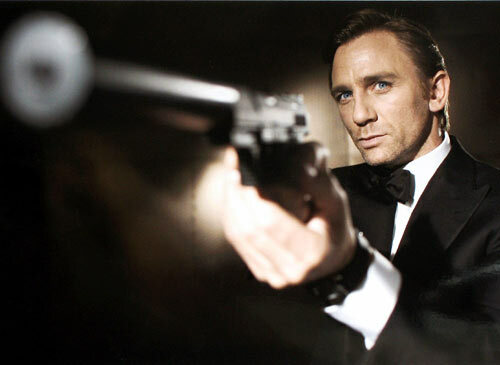 With an estimated budget of $200 million, questions still remain as to the title, leading actresses, and whether or not Judi Dench will return as M. Since the studio already remade Casino Royale, I wouldn’t mind seeing a modern take of Doctor No, even though the original is one of my favorite Bond films in the series. Previous ArticleSIGNING: Meet Chris Roberson today! Not to be overly critical but I think it would be a detriment to the series if they started remaking their own films. Hopefully whatever they do is going to be better than “Quantam of Solace.” Finally I can’t wait for Craig’s bond to regenerate into the 7th incarnation. Cool, I had been told that since he was outed as been homosexual he might not be James Bond anymore. That would have been a dumb move, his sexuality has nothing to do with his portrayal of the character. I have no problem with Craig in fact I really enjoyed Casino Royale and thought Solace was okay. But I’m not sure about Dr. No. That might be pushing the remake button TOO far. They didn’t as much do a remake of Casino Royale as actually read the book before making the movie. If they decide to use the books as source material, the movies will be much better. Casino Royale was the closest to the original source material as any of the other movies have been. They usually take the title, a few character names and then throw the book away at that point. As long as it’s better than Quantum of Solace, I’ll be happy. Just too much going on from a directorial viewpoint I think. Too much emphasis on the whole Earth, Water, Fire, and Air elements through the filming. The retread of the girl in gold being replaced with a dead girl covered in oil on the bed. It just felt a little too heavy on the subtext and light on the actual plot. But like some of the others here, I LOVED Casino Royale. The author initially intended Bond to be a blunt instrument instead of the suave Bond of days past. I’m fine with him growing into the more suave man, but I want to see some real heavy hitting awesomeness that were in abundance in Casino Royale.